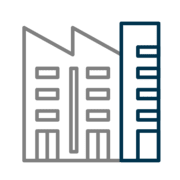 Get a fully-engineered cost segregation study to decrease your tax liability and put more money in your pockets. 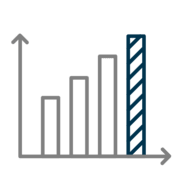 Cost segregation helps you depreciate parts of your property faster, decreasing your tax liability and increasing your cash flow. Some assets of your property can be depreciated in 5, 10, or 15 years instead of the traditional 39 year or 27.5 year staight-line depreciation. We find more of these depreciable assets than traditional cost segregation studies. This frees up cash for other investments or to simply put more money in your pocket. 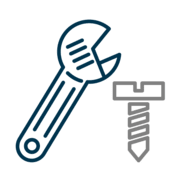 Our engineers and construction experts are full-time employees and will work on your case from start to finish. Instead of spending precious time filling in third-party contractors at every step of the process, your engineers know exactly what’s happening and what needs to be done. We’re proud of our team and only hire the absolute best in the business. It’s never made more sense to get a cost segregation study, the benefits are at their highest level ever. With the enactment of the Tax Cut and Jobs Act (TCJA) in November 2017, short-life assets (under 20 years) qualify for 100% bonus depreciation. What does this mean? You can get double the tax deductions and cash flow from a cost segregation study. Like we said, the benefits have never been better. It’s never made more sense to get a cost segregation study. Since the enactment of the 2016 Tax Cut and Jobs Act, you get a 100% bonus on short-life assets. This means you get double the benefit for these qualifying assets. Have you owned your property for 5-15 years? You don’t have to amend your previous year tax forms to benefit fully from a cost segregation study. 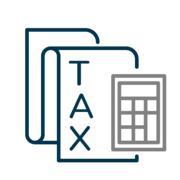 Our tax experts can look at any deductions that you may have missed in the past and redeem as much as possible to get your finances back on track.